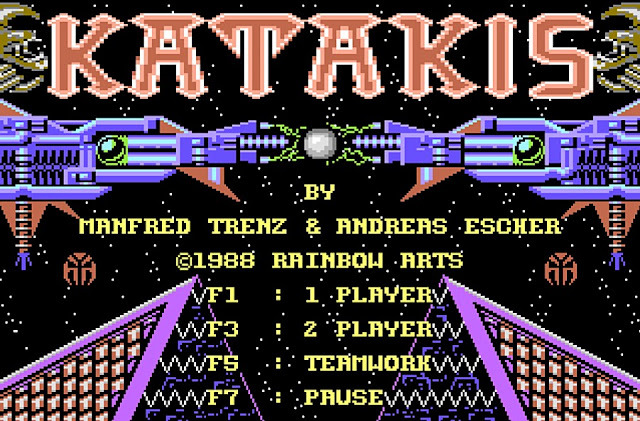 Moving away from the rather special heads up regarding Limbo on the C64, we now look towards Hokuto Force with their brilliant bug fix and trainer release for the 1988 Shoot em up ' Katakis ', which was first released by Rainbow Arts. Playing in a similar style to that of the hit game R-Type, this is a shoot em up in which you need to blast your way through many waves of enemies, picking up power ups along the way and finally destroying each of the end bosses to finally reach the core of the evil machines and retake the planet Katakis. If you've never played this game before you are in for a treat, it is one of the better side scrolling Shoot em ups released on the C64 and even the Amiga later in 1988. 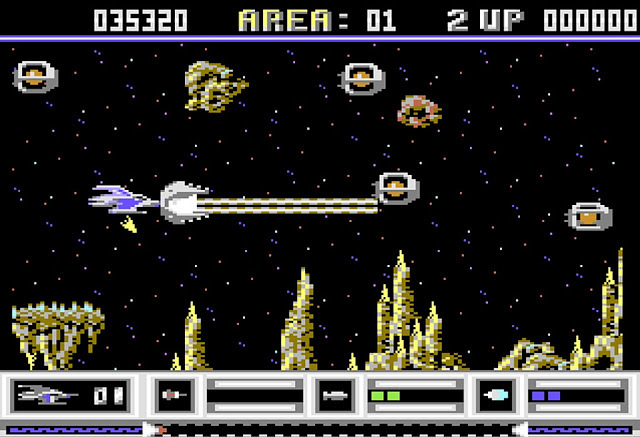 The graphics are very decent with scrolling backgrounds and landscapes, the enemies are a real challenge and differ in both design and movements, and your ship can collect some seriously awesome power ups such as the beam weapon above. But what makes the game rather unique for its time, is if you play in two player, the second player can control the force module for even better defensive and offensive capabilities. So yes, a game worthy of play and even more so now especially with a cheat trainer, level 4 chip bug fix and an NTSC fix by Hokuto Force.